What is a web app? A web app is a client?server software application in which the client (or user interface) runs in a web browser. Common web applications include webmail, online retail sales, online auctions, wikis, instant messaging services and many other functions. Why do I need this certification? Web apps are often subject to the vulnerabilities of poor coding practices as a result of inadequately training developers, so you must know what to lookout for in order to make web apps more secure. What will I learn? Vega web vulnerability scanner. BurpSuite web vulnerability scanner. SQLMap automatic SQL injection and database enumeration tool. Arachni web app attack and audit framework. W3AF network fuzzer. 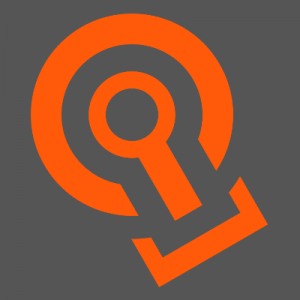 Nikto open- source web server scanner. SearchSploit database exploit tool. NMAP network discovery and mapping tool. Get your Web App Security Fundamentals Certification Today: The primary reason websites are hacked is because they present a large attack surface. A web app, more specifically, is a client?server software application in which the client (or user interface) runs in a web browser. Common web applications include webmail, online retail sales, online auctions, wikis, instant messaging services and many other functions. These software projects that are often subject to the vulnerabilities of poor coding practices as a result of inadequately training developers. Typically, those developers are working under cost constraints where the priority is to ship product, rather than to ensure it is secure. In this case, security is an afterthought. The Web App Security Fundamentals Micro Certification requires that you have a basic understanding of Linux and are comfortable using the command line. It?s a very hands-on course with labs included in each module. Throughout the material, we examine packet responses in the form of HTML status codes. The importance of packets in web app exploits are discussed concerning hidden HTML form fields and how apps are tricked into giving up sensitive info via packet manipulation.